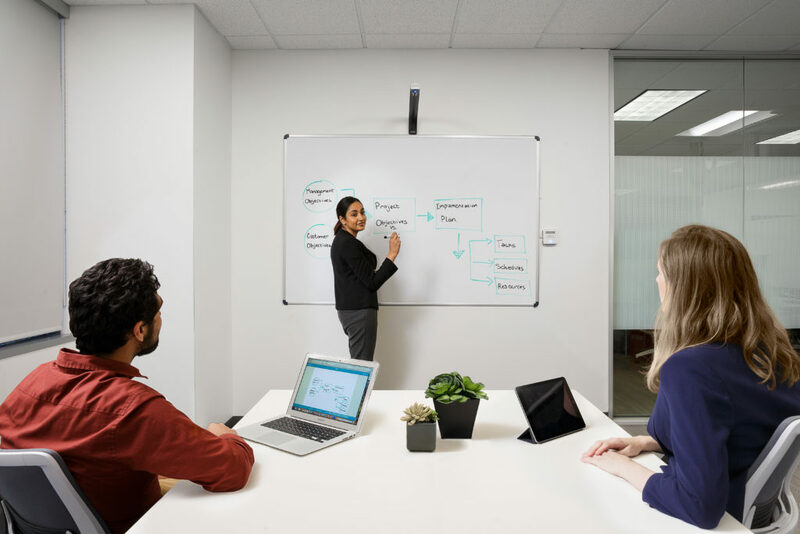 Kaptivo, a camera that attaches to any whiteboard, automatically saves images and shares content in real time without changing the way you work. Images are instantly enhanced to remove any reflections, glare or people blocking the board. With Kaptivo you can boost productivity and engagement and empower faster, better remote collaboration. Contact us to learn more.